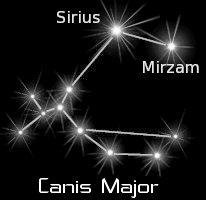 Sirius is the Dog Star in the “big dog” constellation. Although the last Wiccan holiday, the one at the Solstice, is called Midsummer, it is this Sabbat that seems to fall in the middle of the summer as most of us experience it. It is after August 1st that the school letters go out and shopping for the fall clothes begins. It is the beginning of the Dog Days, and often the worst of the heat and allergies. The Dog Days are actually an astronomical reference. The sun moves into close proximation with the Dog Star Sirius. At least it used to when this term was originally coined. Our entire galaxy moves around a central core and so over time it shifts our solar system’s relationship to the other stars. In the days before air conditioning the hottest days were often good for baking. My mother always said “When it’s this hot already warming up the oven doesn’t make much difference.” Actually baking could make the house feel cooler as the oven produced a dry heat and reduced the overall humidity in the air. The yeast certainly rises faster on those warm August days. I often think of this as the forgotten Sabbat. Between everyone’s summer vacations, all the county fairs, the Renaissance fairs and Pagan festivals it’s hard to find room in the schedule to get together and celebrate. Maybe that’s the point of the physical competition. People tend to find time when a sporting event is included with the picnic. Maybe it’s why tailgating is so popular. The holiday is also referred to as Lugh’s day or Lughnasadd. It stems from a celebration of the end of the corn harvest. Or more probably the barley harvest in the Brittish Isles. There the contests were usually for a keg of beer, or barley malt. The yeasts don’t only work quickly in baking, it’s also a good time for certain stages of the brewing process. August is a great month for pies. Many of the berries are peaking, especially in the northern climates. The early apples will be in. Even meat pies are good as a use for the stringier meat of the older animals and the pests (squirrels, rabbits, 4 and 20 blackbirds…), and they’re a welcome contribution at a picnic or pot luck. So have a picnic and remember that those summer days are getting shorter as the harvest begins to come in. Enjoy the summer Olympics. Have some corn on the cob. Eat more pie. Posted on July 30, 2012, in seasonal, spirituality, summer, wicca and tagged athlete, dog days, dog star, heat, Lammas, Lugh, olympics, pie. Bookmark the permalink. 10 Comments. 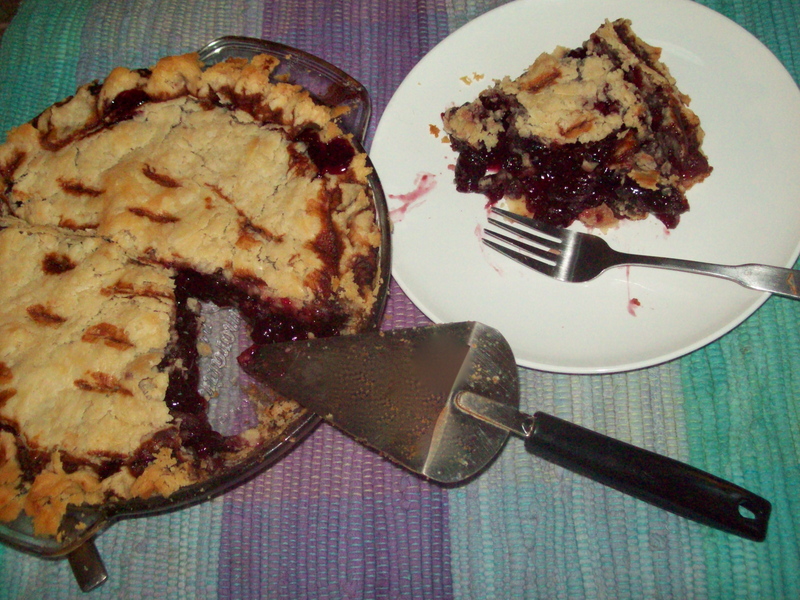 Yummy–your pie looks awesome. Thanks for all of the information about Lammas and the Dog Days of Summer–really fascinating stuff, Lisa! Hope you are able to stay cool. And PLEASE save me a piece of pie! Honey, I’d be happy to make a pie just for you, but I’m not sure it would survive fed-ex. Lisa, I just had to read that paragraph about baking during the heat to Barry. He said, “WHO is Lisa?” and I tried to explain to him. If Kathy M gets a piece of your pie, so does Kathy D!